Jon Bennett and Liz Van Santen are both members of four-piece band Moonrakers, which combines musicians from both the classical and the folk tradition. The fact that the band “just OOZES quality” (Living Tradition) is down to the careful arrangements and selection of tunes and songs, presenting “exquisite music” (BBC). 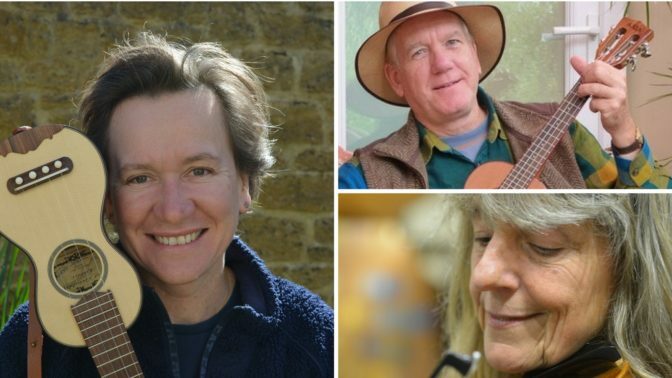 Now with four albums under their belt and described as “startlingly talented” (Oxford Times), Moonrakers provide “truly wonderful” (Wycombe Festival) informal evenings of musical excellence and humour.